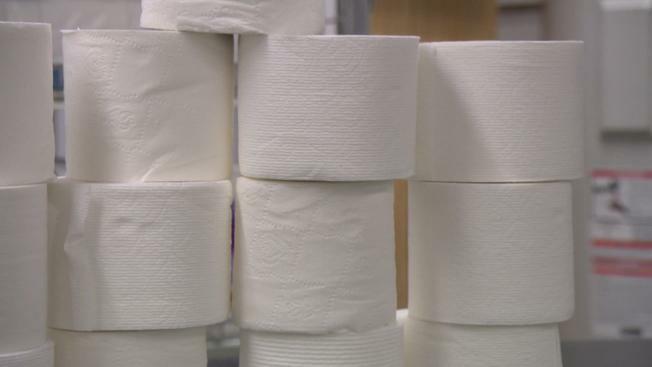 Staffers at a New York Public Library branch in the Bronx became so fed up with someone stealing toilet paper from the bathroom that they posted a harshly worded sign threatening to examine the bathroom after each person leaves it. The sign at the Morrisania branch bathroom, which has since been taken down after DNAInfo published a story on it Friday, read in all capital letters: "Attention! Attention! Stealing is punishable by the law. If you are caught stealing the bathroom tissue from dispenser, you will be barred permanently from all New York Public Libraries." The sign, first posted three months ago, went on to say: "Immediately after each person leaves the bathroom, it will be checked to see if dispenser was tampered with or if tissue is missing." The flyer ends with a Clip Art-type image of hands in handcuffs. A spokeswoman for NYPL said staff members had gotten fed up with theft of supplies, including toilet paper, in the last three months and put up the flyer as a deterrent. The unsanctioned sign has been taken down because the NYPL tries to create a welcoming atmosphere, and signs like that are not how employees would normally address the situation, spokeswoman Angela Montefinise said. NYPL supports the branch's efforts to curb theft of public supplies, Montefinise said, adding the items "are supposed to be for use of the public, so in reality, these folks are stealing from the community." But instances of banning patrons from libraries are examined on a case by case basis, "it is a very complex process, and it is very much a last resort. Most likely, toilet paper would not qualify," said Montefinise.